Background: Stiffness is commonly assessed in relation to injury and athletic performance. The purpose of this research was to compare the validity and reliability of three in-vivo methods of stiffness assessment using one cohort of participants. 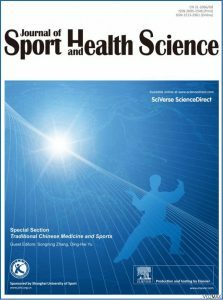 Methods: To determine inter-day reliability, 15 female netballers were assessed for stiffness twice within 1 week using unilateral hopping (vertical stiffness), free oscillations of the calf and myometry of various muscles of the triceps surae. To establish convergent construct validity, stiffness was compared to static and dynamic strength measurements. Results: Test–retest stiffness results revealed that vertical stiffness produced moderate to high reliability results and myometry presented moderate to very high reliability. In contrast, the free oscillation technique displayed low to moderate reliability. Vertical stiffness demonstrated a significant correlation with rate of force development during a squat jump, whilst myometer stiffness measurements from three sites in the lower limb revealed significant correlations with isometric rate of force development. Further, significant negative correlations were evident between the eccentric utilisation ratio and various myometer stiffness results. No relationships were established between the free oscillation technique and any of the performance measurements. Keywords: Calf stiffness, Free oscillation technique, Myometry, MyotonPRO, Vertical hop test, Vertical stiffness. These results suggest that vertical stiffness and myometry are valid and reliable methods for assessing stiffness.